The NHS wants to make sure you and your family have the best care now and in the future. Your health and adult social care information supports your individual care. It also helps us to research, plan and improve health and care services in England. 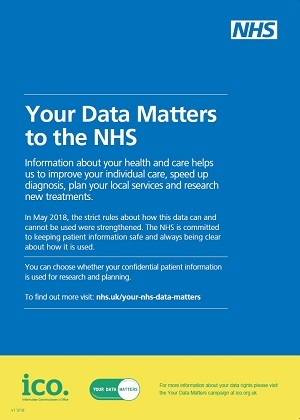 You can choose whether your confidential patient information is used for research and planning purposes. 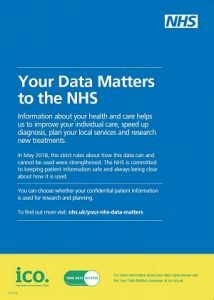 You do NOT need to do anything if you are happy about how your confidential patient information is used. You can change your choice at any time.